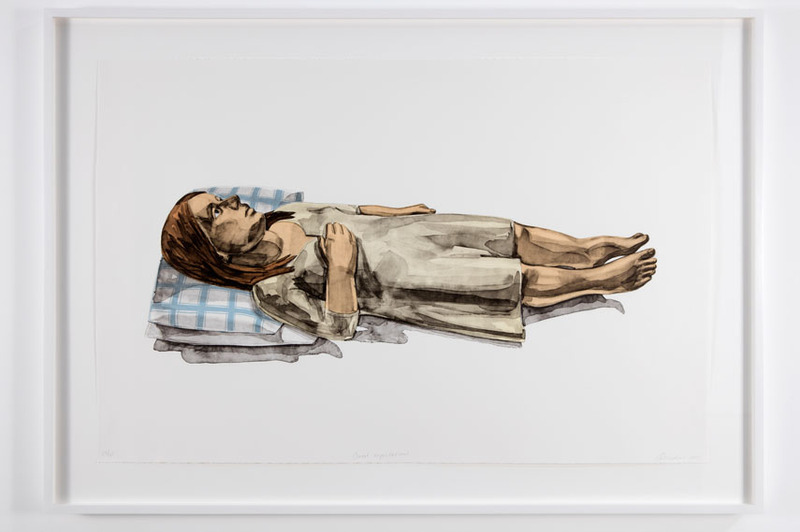 Jack Shainman Gallery is hosting a solo exhibition by Claudette Schreuders, a South African artist who creates sculptures and lithographs in search for the (white) South African identity. In the post-apartheid era, that search, as the identity itself, is debatable. 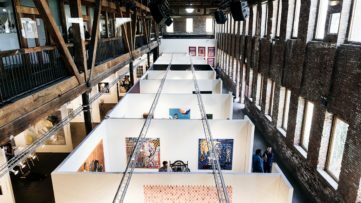 However, it is not an uncommon theme among the African artists – but every one of them brings something new to the table. This is Schreuders’ fifth solo exhibition with the Jack Shainman Gallery. The title of the show is Note to Self. 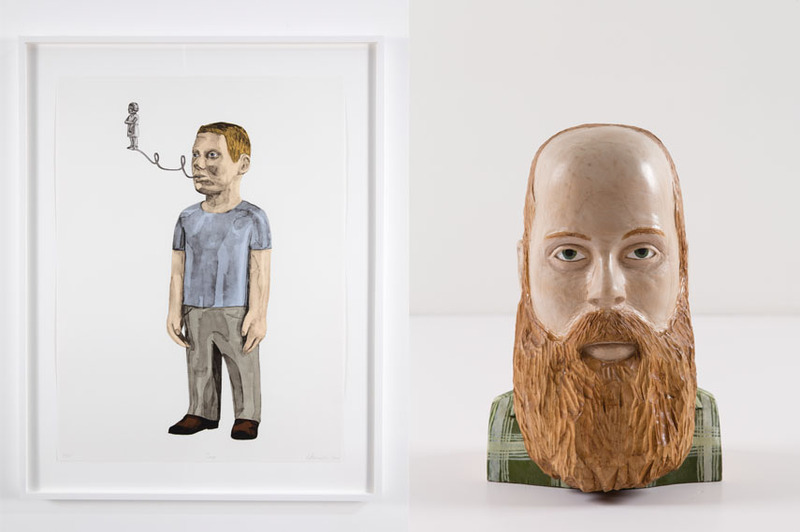 Claudette Schreuders creates lithographs and carved and painted wooden figures. When it comes to style, they can be placed at a meeting point of European art and traditional African sculpture. 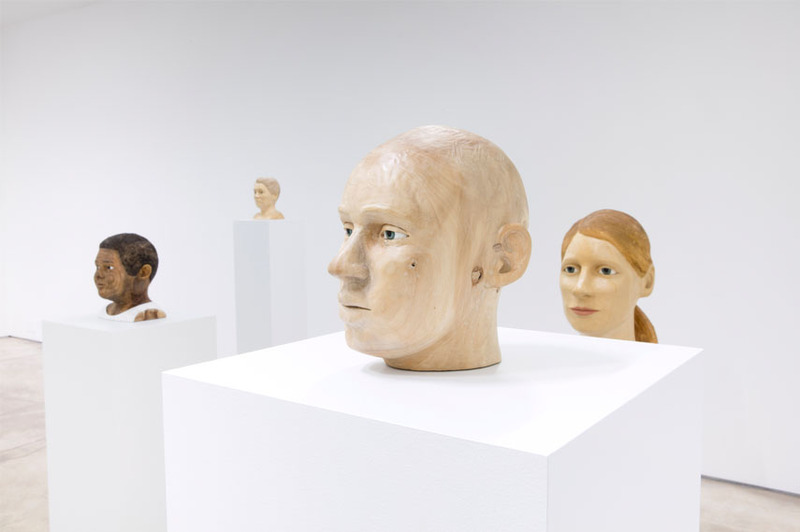 The shape of the sculptures is partially dependent of the wood involved, and the interpretation of Schreuders’ work often demands knowing the context. She was born in Pretoria, South Africa, to Dutch parents, and now she lives and works in Cape Town. Search for her true identity in the post-apartheid South African society is one of the topics of her work. 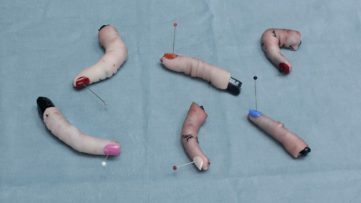 For her, narrative and storytelling are of the biggest importance, so Schreuders usually exhibits small series of work as sculptural installations – and individual items are available for sale afterwards. 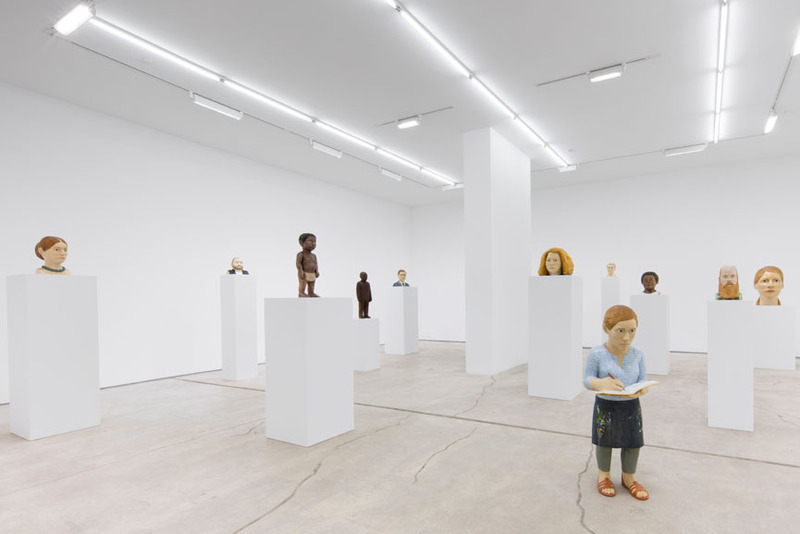 Note to Self is an exhibition comprised of sculptures depicting Claudette Schreuders’ artistic and personal influences. With the features belonging both to African and Western aesthetics, they refuse to fit solely into one category. While telling a story about a collective identity, they also tell a story about the personal identity of the autor. 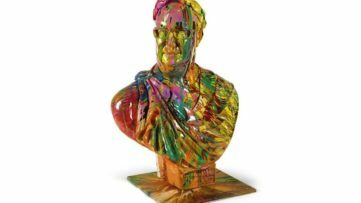 The titular artwork is a statue depicting the artist standing in a paint-splattered apron, holding a sketchbook and a pencil. The statue is standing firmly on the ground and it appears that it’s communicating to the ones behind her, sourcing the inspiration. The role models and the titular sculpture are not sharing the same height – they’re at pedestals, each of their own. The influences include Bonnie ‘Prince’ Billy, the musician, as well as the painters Alice Neel, Balthus and Paula Modersogn Becker. 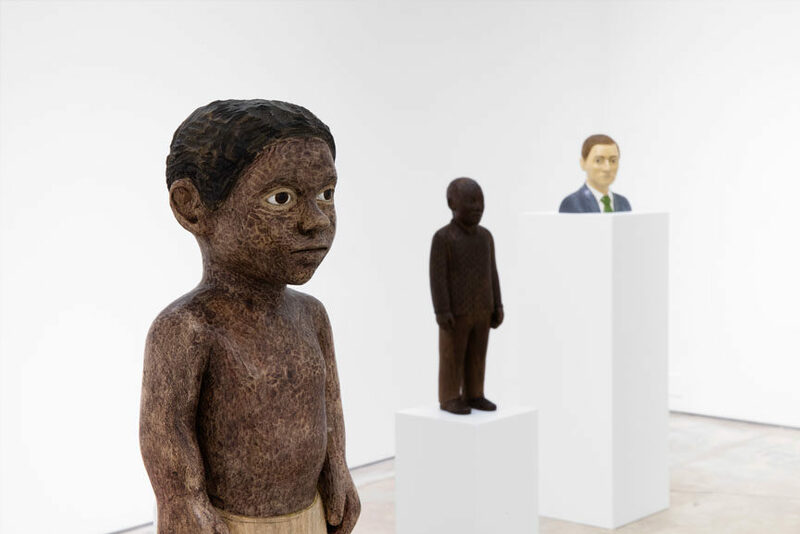 Her fellow South Africans presented with wooden figures in this exhibition are Marlene Dumas, Bessie Head, Anton Kannemeyer, Nelson Mandela and Brett Murray. The work of Claudette Schreuders is, basically, portraiture. But at the same time, it is a vehicle to tell a story. This exhibition, displayed as an installation, tells a personal story of the artist and her influences. It should also be a reminder to other artists to cite their influences proudly. But that’s not all – through Schreuders’ personal story and the people who have shaped her as an artist we can also reflect upon the fabric of a place. And that place is South Africa – which brings us back to the search for identity. Note to Self by Claudette Schreuders is on display at Jack Shainman Gallery in New York from February 4 to March 12, 2016. Featured images: Claudette Schreuders – Note to Self, details from the exhibition. All images courtesy of Jack Shainman Gallery.